The rumours were true and thoroughly unsurprising as these dudes have been knocking around since the Horus Heresy collectible card game. And actually I’m quite impressed that they stayed as loyal as they did to the art work. Obviously the photos aren’t brilliant but I actually think these could be pretty cool…. Indicative price is 3 for £50 so start saving boys and girls. Is it bad that my head thinks that’s how Terminator’s should have always looked? If you go by the fluff its tactical dreadnought armour. An this is the original fluff. With the technology lost on how to build new suits they had to strip down dreads for parts to repair it. An that looks like a half way between the terminator armour and a dread. Massive hulking exoskeleton of a suit. Yeah its ugly but who ever said war was pretty? 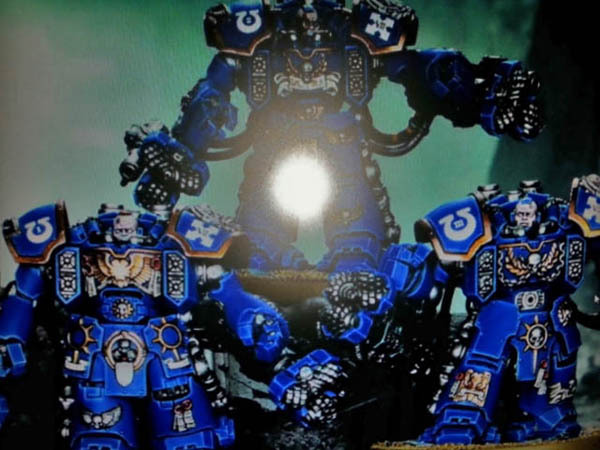 Yeah, that’s certainly how some of the early Horus Heresy art portrays Terminators, hence the Cataphractii variant. 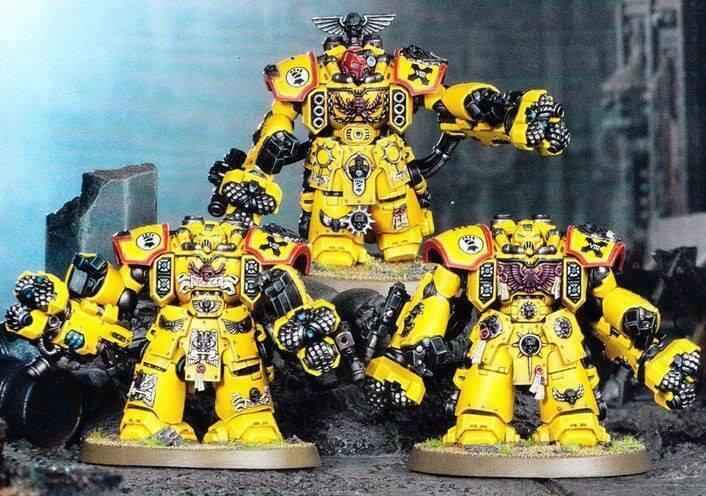 Although the president had been set with model size so it’s hard to convince every space marine player to replace all their terminators because they’re the wrong size. That’s an easy thing to do. You just stop selling the new terminator models. They got bigger from metal to plastic, and they could just stop selling the accepted terminators. An we all know it wouldn’t be beyond them to do that, but then if you can add a new model into a range and sell twice as many miniatures then they will do that to. I can’t use them they are not in the Dark Angel codex. I’m claiming it, these are definitely the Iron Monger suit from Iron Man, I wonder if one of the bare heads bears any resemblance to Jeff Bridges? OK, these look a bit odd, not sure if im a fan of the new design movement! And What the hell is with the mining drills on combat equipment??!? 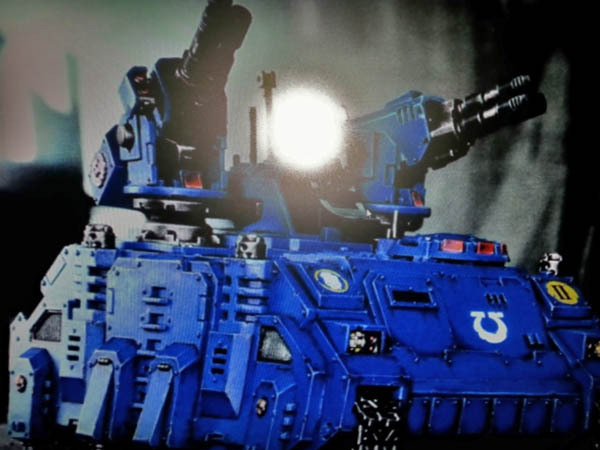 Space Marine equipment has always been functional, and very rarely is it ever pretty.